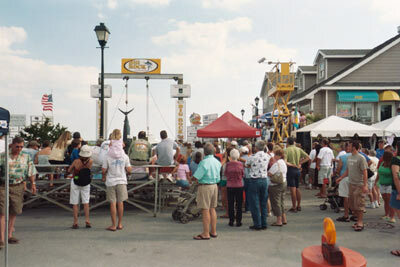 If you are at all familiar with North Carolina's fishing tournaments, you know about the Big Rock Blue Marlin Tournament. Each year hundreds of boats contend for a total purse of well over $1,000,000. In 2004 Donald Lane, Jr., captain of the Impluse, took home $711,375 when his crew edged out 194 other boats with 555 pound blue marlin. Few fishing tournaments in the world are this competitive or lucrative. In addition to the Big Rock tournament and the rest of the North Carolina Governor's Cup Series, there are dozens of other great NC fishing tournaments. Inshore, offshore, and surf fishing; no matter what your preference there are saltwater tournaments to challenge every angler. Our tireless staff has the thankless job of attending as many NC fishing tournaments as we can, so keep your eyes peeled for unique interviews and other exciting tournament insights. We've just updated our tournament list for 2011, please email info@fishing-nc.com if you have a saltwater tournament you'd like to add.